Delta Health Technologies has announced the release of CrescendoConnect, designed to help Care-at-Home providers facilitate communications among caregivers, physicians, patients, and families. The system is available for iOS and Android devices. Features include Electronic Visit Verification through GPS-enabled tracking, secure communications, and collaborative care with physicians, caregivers, families, and others. "Delta prides itself on continually improving its products and solutions. We believe CrescendoConnect continues that legacy and enhances the collaboration of care and communications between caregivers, physicians, and patients," said Keith Crownover, President of Delta Health Technologies. "We are proud to offer CrescendoConnect, which is at the cutting edge of care coordination and communication." Compliant with Federal and State EVV requirements, CrescendoConnect allows caregivers to clock in/out and document tasks from their smartphone or other mobile device. 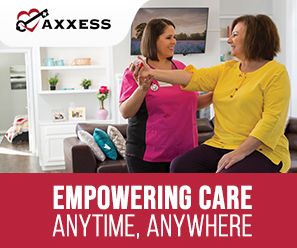 Caregivers can view and document care plan tasks assigned to appointments, easily access upcoming schedules, and review important appointment information in advance. CrescendoConnect verifies caregiver location and can improve care plan compliance when used for task documentation throughout each visit. CrescendoConnect users securely communicate with multiple disciplines, agency personnel, and the patient (or designated patient representative) and share photos and files related to patient care. Integrated with Delta's Crescendo EMR, pPatient-related communications may then be included as part of the EMR's clinical record. All communications are compliant with Home Health Conditions of Participation and HIPAA regulations. CrescendoConnect facilitates physician signing of orders. Physicians can easily view and sign orders via an email containing a secure link and PIN without having to access a portal. Patients and/or their designated family members can view the patient's schedule, medications, nursing documentation, and physician orders using their mobile device. Founded in 1968, Delta Health Technologies is a provider of patient-centered software solutions for those providing care-at-home. Delta's technology uses an integrated, single electronic patient record.